Looking for a charming ranch to call home? 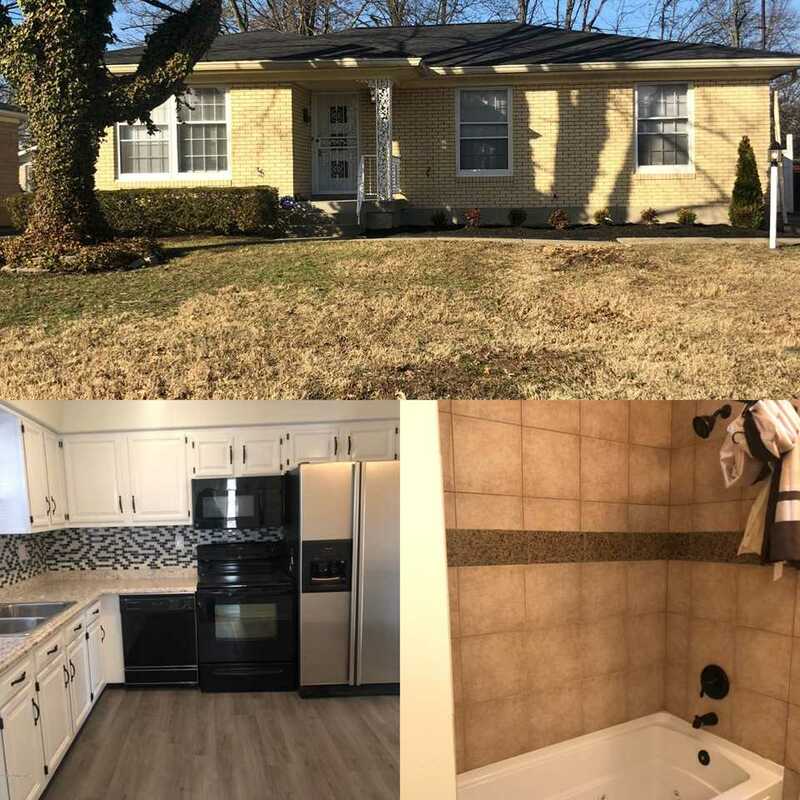 This nicely renovated home located in Shady Villa neighborhood in Okolona area near General Electric, Ford and UPS. Home is exquisitely fresh and ideal for new homeowners that has many improvements and upgrades, equipped with nice back yard, deck and inground pool, also has partially finished basement that is ready for your personal finishing touches. Feel free to call for a private showing today! SchoolsClick map icons below to view information for schools near 4019 Serene Way Louisville, KY 40219. Listing provided courtesy of The Key Group Realty LLC. Home for sale at 4019 Serene Way Louisville, KY 40219. Description: The home at 4019 Serene Way Louisville, KY 40219 with the MLS Number 1524518 is currently listed at $167,000 and has been on the Louisville market for 68 days. You are viewing the MLS property details of the home for sale at 4019 Serene Way Louisville, KY 40219, which is located in the Shady Villa subdivision, includes 3 bedrooms and 2 bathrooms, and has approximately 2265 sq.ft. of living area.